Need to know more about eligibility, FAQs and testimonials from other businesses? Click here. 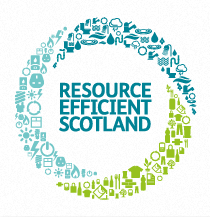 How do you apply for a Resource Efficient Scotland SME Loan? Your loan application can be for a wide range of resource efficiency measures and must be recommended in a qualifying report. The report can be a Green Deal Advice Report (generated from a Green Deal assessment) or a report from Resource Efficient Scotland. Contact us to get your free qualifying report and fast track your loan application.